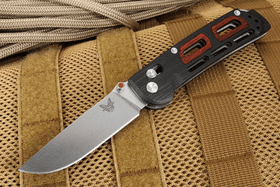 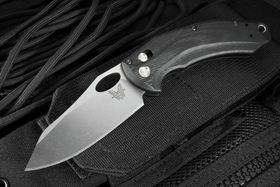 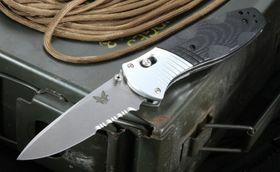 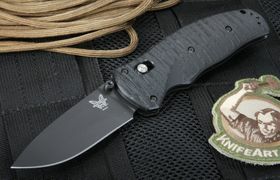 Benchmade Knife Company is located in Oregon City, Oregon, and their knives are entirely American-made. 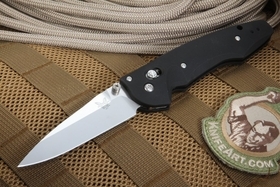 For three decades, their goal has been to make the best knives in the world for tactical operations, emergency responders, hunters and collectors. 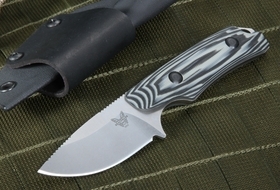 From the precision grinding, milling at extremely high tolerances and the final finishing and assembly by hand, you can appreciate the quality that goes into one of their knives. 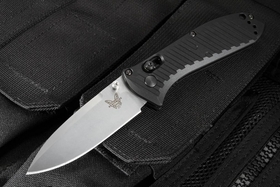 All Benchmade knives are made using some of the most advanced machines and a wide variety of patented technologies in their products. 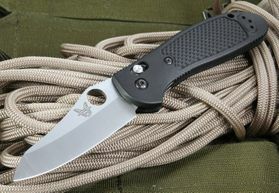 With this commitment to craftsmanship, you can be assured your knife will perform when you need it. 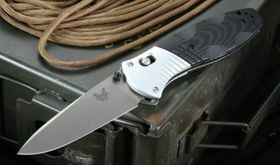 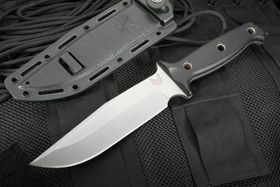 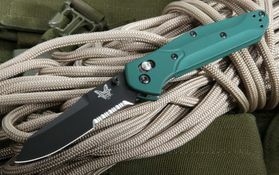 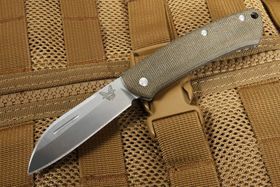 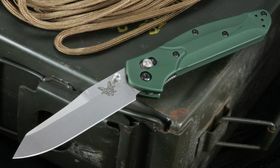 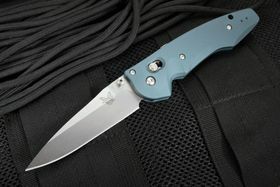 Oregon is a hotbed of knife manufacturing and Benchmade is a flagship maker of American handmade knives. 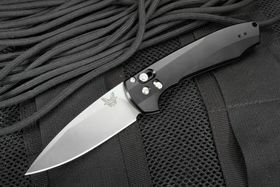 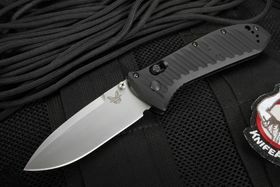 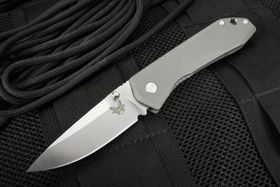 KnifeArt.com has a huge selection of Benchmade knives for sale to meet every taste and budget. 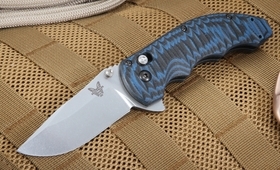 All Bench made knives fall into three traditional classes: Blue, Black and Gold. 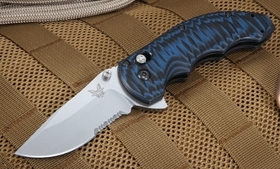 The Blue Class represents a collection of knives made for EDC use. 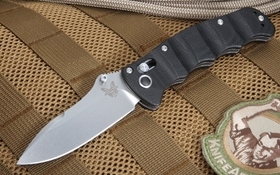 These affordable knives include models such as the Monolock, Bugout and Anthem family. 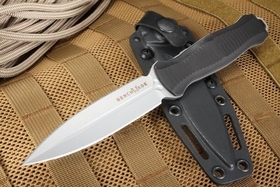 Black class knives like the Stimulus and Rukus II are made for tactical use, which is perfect for professional workers in law enforcement, military and public safety, where one's life can literally depend on quality tools. 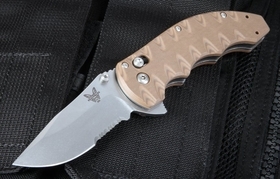 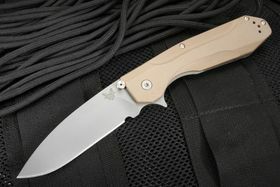 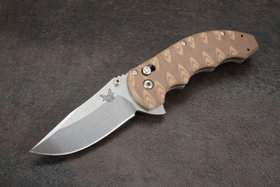 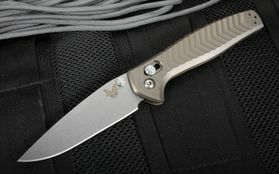 The Gold Class features Benchmade limited edition knives for sale with special features and materials for collectors. 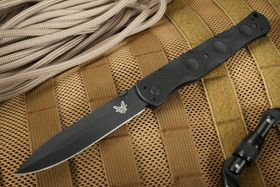 In addition, Benchmade has developed the HUNT series, which features knives designed specifically for hunting and outdoorsmen. 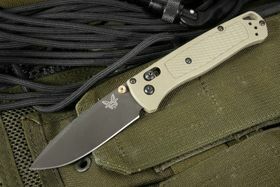 Whatever the class distinction, each Benchmade knife is made with superior materials and strength for every job. 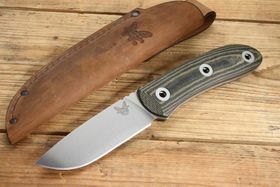 Within each Benchmade knife class is several options depending on what you will be using your knife for and what your budget is. 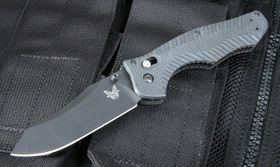 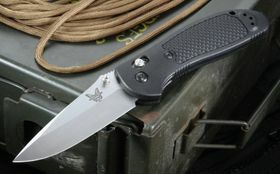 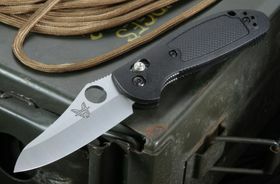 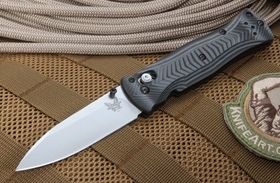 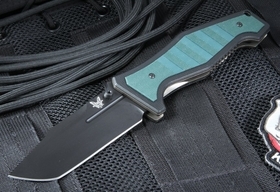 Benchmade fixed blade knives are more commonly used for tactical purposes. 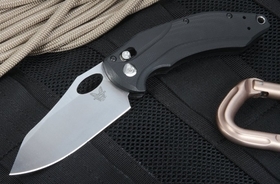 Since these strong blades don't fold, they can be made up to twice as long. 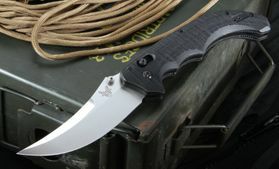 They can also be deployed faster and are easier to maintain. 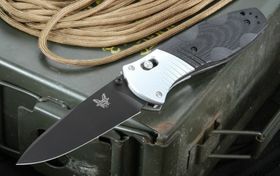 Folding knives such as a Benchmade pocket knife are easier to conceal because of their smaller size. 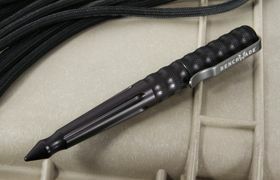 This also makes them easier to transport. 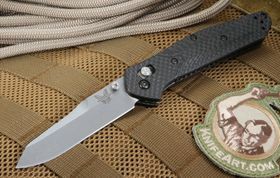 Ordering a blade with a serrated edge will make cutting fabrics and other textured materials easier while a knife with a contoured carbon fiber handle will stand up to any heavy-duty project. 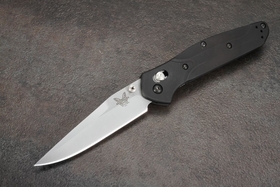 While every Benchmade knife is made to the highest standards, several models have gained immense popularity. 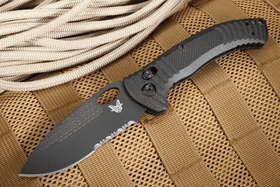 If you are exploring your first purchase, we recommend looking at the Griptilian family as an everyday carry knife or tactical folder. 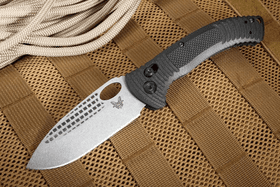 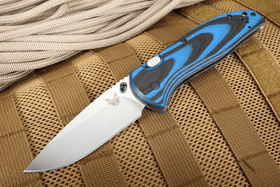 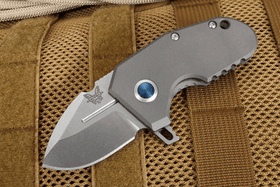 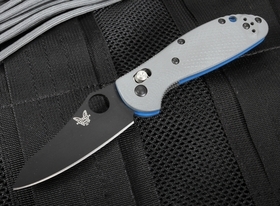 The Griptilian knife comes in various colors and styles with two main sizes: the full size with a 3.45-inch blade and the mini with a 2.9-inch blade. 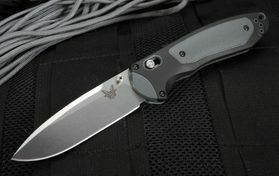 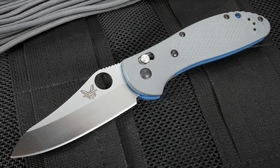 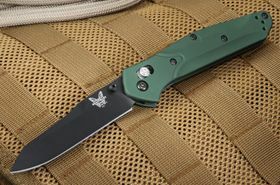 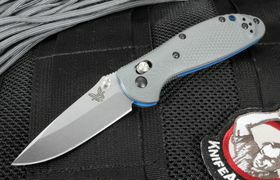 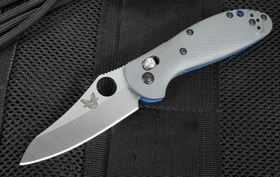 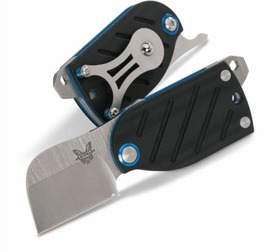 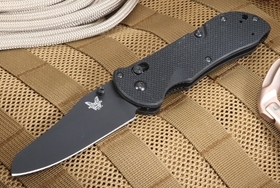 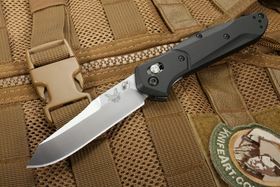 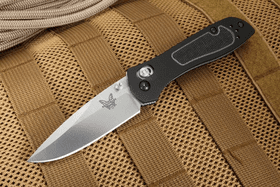 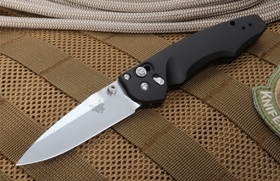 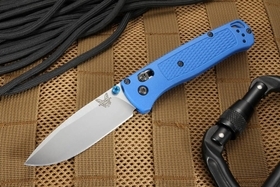 In addition, Benchmade offers popular favorites in the 940 series (940, 940-1 and 940-2). 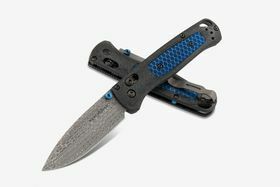 At just under 4.5 inches in length when closed, the Benchmade 940 is a terrific size for an everyday carry folding knife. 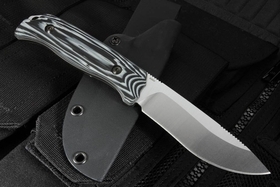 For the hunter, one of the most popular models is the Hidden Canyon Hunter with a curving skinner blade and full tang construction. 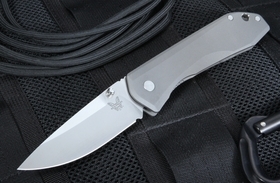 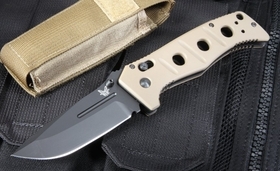 The Adamas is a rugged, overbuilt folding knife designed by Shane Sibert as a tactical knife. 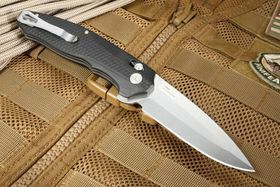 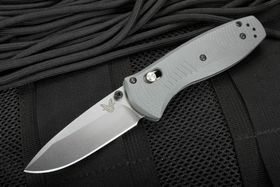 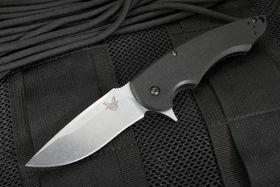 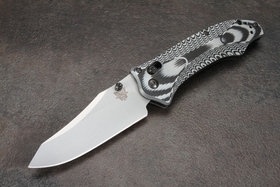 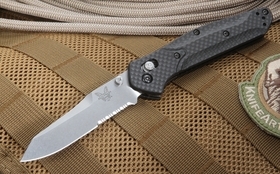 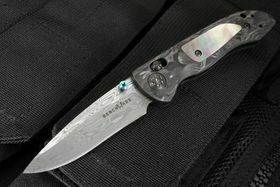 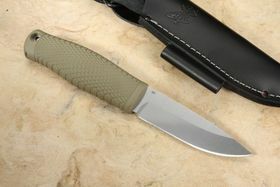 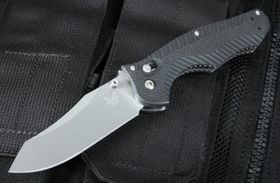 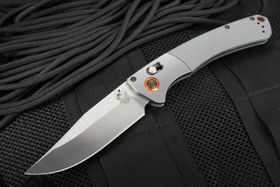 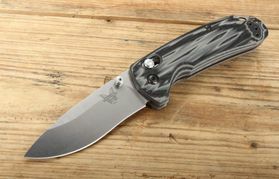 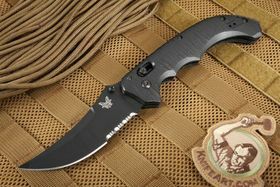 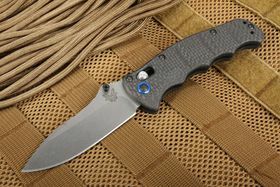 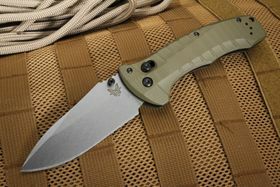 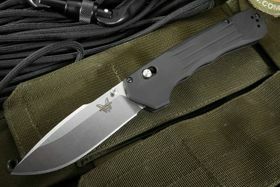 For those that enjoy an assisted opening knife, the Barrage 581 has easy opening and a great grip. 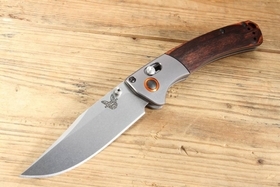 With designs by famous knife makers such as Mel Pardue and Warren Osborne, you can be assured that Benchmade knives are top of their class. 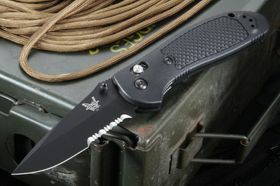 Whenever you need to write things down in the field, you'll want a Benchmade tactical pen on hand. 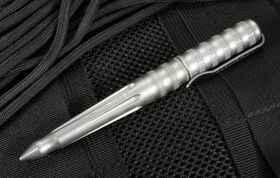 These attractive pens have a high-quality writing mechanism and can be used for self-defense against attackers. 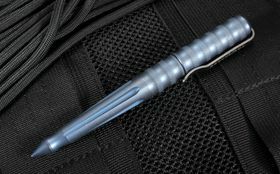 We carry pens made of titanium, aluminum and Damascus steel for your shirt pocket or desk. 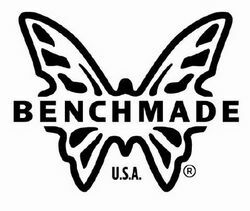 As an authorized Benchmade dealer, we offer a wide selection of authentic products backed by a lifetime warranty. 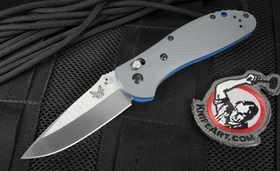 We also have a LifeSharp program that allows you to send your knife in for free sharpening and a tune-up. 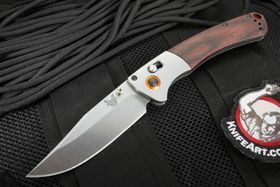 And with our free, same-business-day shipping in the U.S. on orders over $150, you'll receive any KnifeArt purchase quickly. 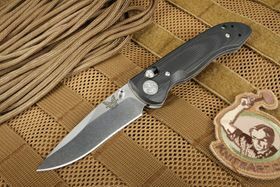 Ask us about engraved Benchmade knives as well, allowing you to personalize your knife with a name, organization or personal message. 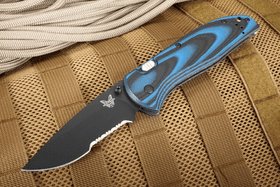 Being an authorized dealer also means we get early access to the latest Benchmade products, so check back often to see if there are any new arrivals. 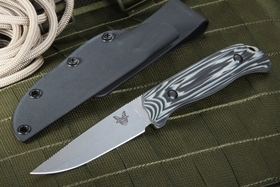 If you'd like to learn more about these premium American knives or have ordering questions, you can contact our experts by phone or email. 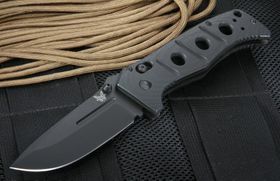 All orders come with a satisfaction guarantee!